Description: Fishtails are nice patterns which do not require extension pieces. They can be made as long as you want on a single loom or on a mini-loom. The fishtail only requires 2 pins to make, and is classified as an off-the-loom pattern, because the pattern flows off the loom as more elastics are added. 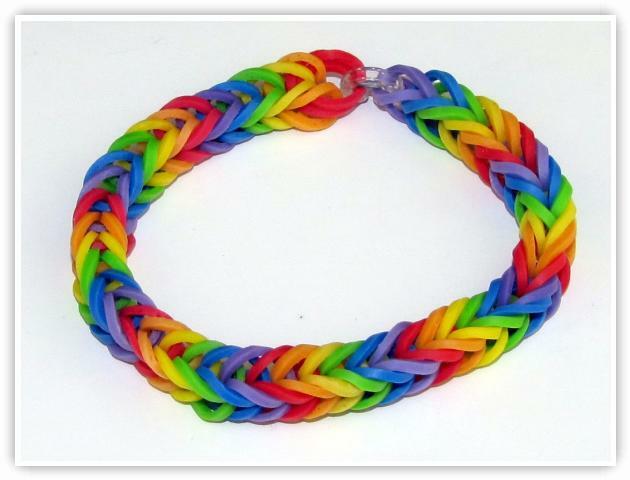 This pattern can also be made on the mini loom which comes with the rainbow loom kit.